An excellent review of evidence that China has indeed locked up one million or more Uighurs in Xinjiang ‘Autonomous’ Region in an effort to have them toe Beijing’s line. This is the sort of uncompromising approach to dissent that in all too many countries has become a victim of political correctness. Jessica Batke is a ChinaFile Senior Editor. 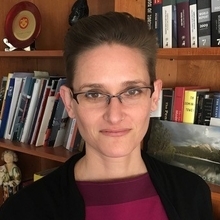 She is an expert on China’s domestic political and social affairs, and served as the State Department’s Bureau of Intelligence and Research Analyst Analyst for nearly eight years prior to joining ChinaFile. In 2016, she was a Visiting Academic Fellow at MERICS in Berlin, where she published papers on Chinese leadership politics and created databases to catalogue hard-to-find, high-level Chinese policy documents and details about policy advisory groups. She is proficient in Mandarin. These two estimates are not the only sources that suggest a 10 percent detention rate. The U.S.-based outlet Radio Free Asia (RFA), which regularly cold-calls government offices throughout Xinjiang, has reported that some local officials must meet detention quotas. Since the latter half of 2017, at least four different local officials in both southern and northern Xinjiang have told RFAthat they were given detention targets to meet, including 10 percent of the population in one village and 40 percent in another. These quotas generally accord with other RFA sources’ accounts of detention figures in their own villagesand townships. RFA itself has not offered a region-wide detention estimate, but its coverage over time and across different localities does buttress the theory that 10 percent of Xinjiang’s Uighur population could be detained. Indeed, Zenz writes in his analysis that RFA’s reporting suggests a “one million” estimate is not far-fetched. This entry was posted on January 15, 2019 at 11:14 pm and is filed under China, Institutional development, Politics, Uncategorized. You can follow any responses to this entry through the RSS 2.0 feed. You can leave a response, or trackback from your own site.